Are you looking to revamp your current website? What are the best web design practices? What’s a basic process to follow when creating a website? And what items should I remember while following the process? This article will cover all aspects of planning and designing a website up to its launch. Launching a website is an entirely different article for another day. Please keep in mind; the best web design process varies for every professional web designer/developer, and there is more than one way to design a website. Most time spent on creating a website takes place during the planning phase, and rightfully so. By answering the questions below, you can simplify the first steps of the web design process. Why does this website need to be built? For whom is this website being built? What is this website expected to do? Why is a very important first question. It provides a purpose for the website’s existence in the first place. Answering who will help steer the web design process to ultimately create a website for the targeted audience, and, What is the question to answer in order to determine what the website is expected to do for the audience and for it’s creator. Answer these three questions, and move on! It’s all about organization! Site architecture organizes the main pages and subpages so that the audience can easily locate where content is on the website. Creating a wireframe for every page of the website is unnecessary. It’s important to choose 3-5 of the website’s unique pages. Wireframes are black, white, and gray only. Pictures and graphics are excluded from wireframes to ensure the focus is on the layout of a page’s elements. Graphics are represented by a square with an X. 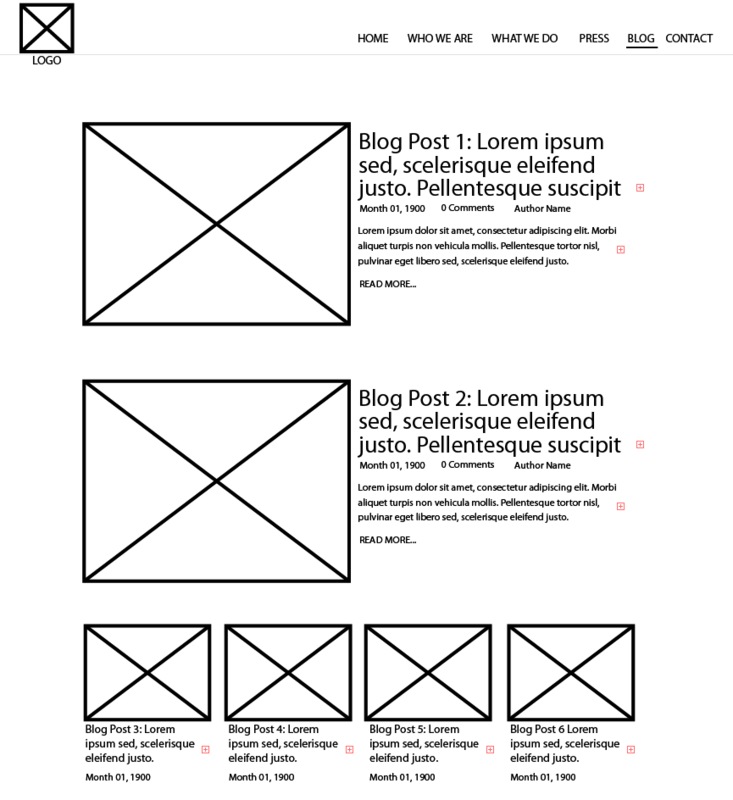 Text is also excluded from a wireframe in order to focus on the layout of the page. After the website’s wireframes unique pages are complete, a clear understanding should exist of how these pages will be laid out. Wireframes are crucial in order to keep best web design practices in place for website development. 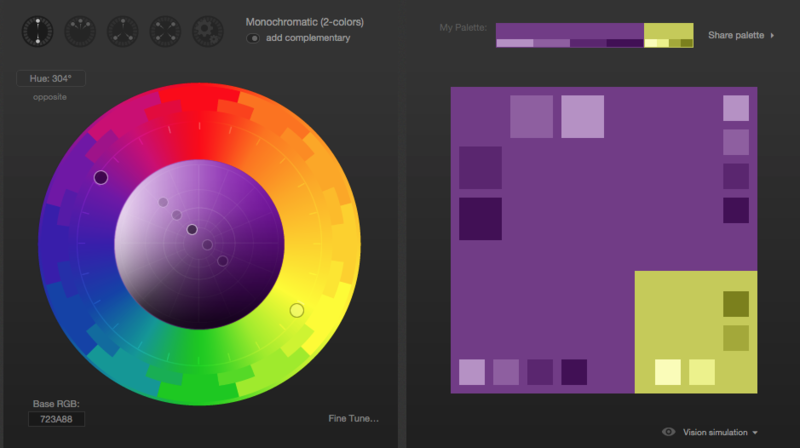 An enjoyable (and sometimes difficult task when creating a website) is deciding on a color scheme. Start off by picking a single color. This single color may be a color used by the company, a color from a logo, or a personal favorite color. With the first color chosen, it’s time to find a color to match it. The simplest way to do this is by using the Paletton tool. This Paletton tool is a great way to quickly identify secondary colors and possibly tertiary colors that might accompany the original chosen color. Once the secondary and tertiary colors are chosen, it’s time to repeat this color scheme process again with 3-5 different original colors. To have options, it is a best web design practice to have 3 different secondary color schemes for each main color that is chosen. A design compositions is created to represent what the actual website will look like. It will include everything—the layout, color scheme, actual images, buttons, text, font, and any special element. A design composition should look like a screenshot of the actual website. Website development shouldn’t begin until the design composition is completed for the most important pages. These pages are the same pages that were chosen from which to create wireframes. A good layout tool is Adobe Photoshop, and if Photoshop is not accessible, a free image editor program like Gimp will do all the same things. Are you looking to revamp your current website? Or are you looking to have a brand new site designed and built for you? Well, look no further. Using the best web design techniques, our fully staffed web production team can assemble design compositions and layout wire-frames. With our excellent front-end web development skills, we will then take your approved design compositions and build them into a working prototype.